Everything you thought, was wrong... / film / color / hdv / 12:42 min / 2014 Everything you thought, was wrong... is film which in five chapters on metaforical way shows complete shift of social and ideological system in Balkan region. This video is a second part of trilogy, after the first part Hotel Balkan. 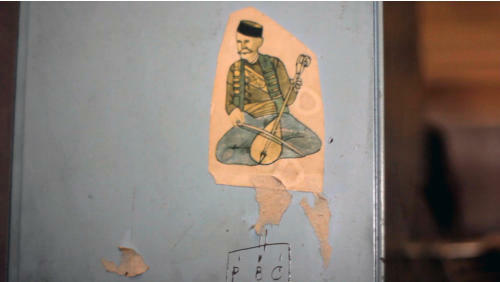 Video was recorded somewhere in Bosnia & Herzegovina in abondend printmaking facilities. This factory mutate into museum/archive of abondend machines and tehcnology which has been overcome by time. Evolution and devaluation of social, idology & political paradigms leads us to complete shift and change of economical & social discourse which cause to new referents appear. Traces and marks of human work & time spend in factories, are places from past which generates new symbols and metaphors for future which no exist.